Brooklyn Councilman Vincent Gentile is the latest NYC lawmaker looking to simplify the city's complicated parking regulations. According to CBS News, Gentile is proposing a bill that coordinates parking meters with the alternate side parking schedule. Currently, alternate side parking is suspended on thirty six holidays, but parking meters remain in effect for all but six major legal holidays. 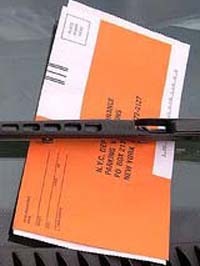 Gentile claims that the city's ticket writers are taking advantage of the many drivers that are unaware the meters still need to be paid. Gentile cited the situation in his own neighborhood on Presidents Day. “There were three, four ticket agents within a couple blocks of each other just scouring the meters up and down hoping to score big and I imagine they scored very big,” he said. Gentile aims to coordinate all of the city's parking rules, but he will likely face opposition from Mayor Bloomberg, who has vowed to fight such a bill. What do you think is the most confusing part of parking in NYC? Do you think Gentile's bill is a step in the right direction?